While billions of stars are scattered throughout the universe. 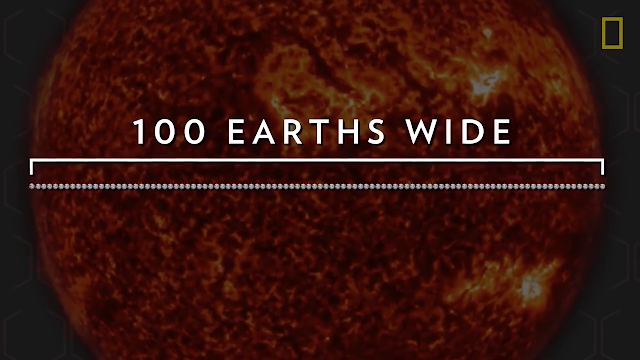 The one at the center of our solar system Plays a special role for us here on earth our Sun formed about 4.5 billion years ago in the Milky Way galaxy's Orion's fur. It was born when a cloud of dust and gas known as a solar nebula Collapsed and in the middle of this formation matter condensed into a burning ball of gas that became our Sun The sun's fiery nature along with a tremendous gravitational pull and an extensive magnetic field Helped it to become the heart of our solar system. 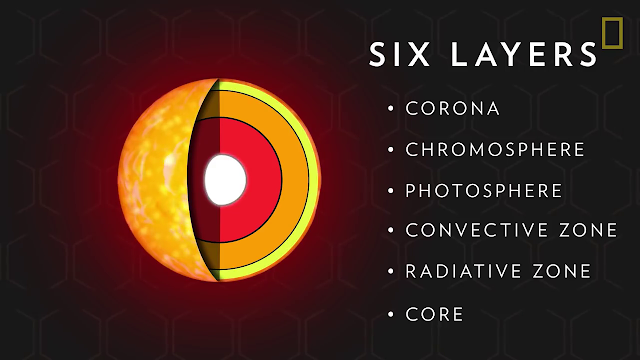 The Sun can be divided into six layers or regions the corona the chromosphere, the photosphere, the convective and radiative zones and the core in terms of atom count. 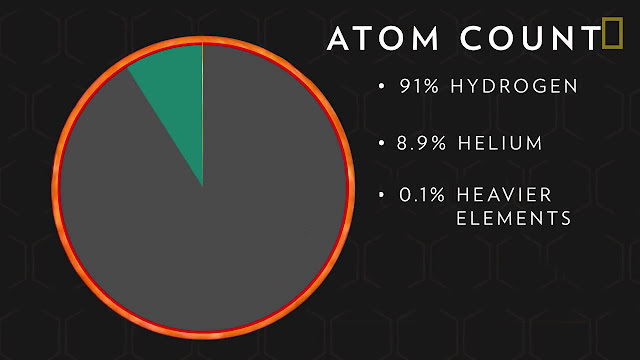 The Sun is about 91% hydrogen the sun's fuel eight point nine percent helium and point one percent heavier elements such as carbon and nitrogen Due to the sun's extreme temperatures these elements stay in a gas like phase called plasma. 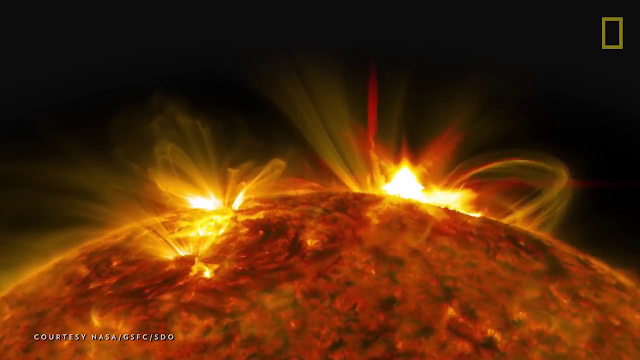 In the core temperatures reaching at least 27 million degrees Fahrenheit Combined with the sun's powerful gravity fused together hydrogen molecules to create helium Called thermonuclear fusion this releases an enormous amount of energy in the form of radiation Electricity solar wind and as we experience on earth Life-giving heat and light Such volatility is contained. Thanks to the sun's tremendous gravity It's strong enough to hold the solar system intact and is primarily due to the sun's size and mass Our Sun is the largest and most massive object in the solar system it's more than 100 earths wide and Could theoretically fit all eight planets inside nearly 600 times. It also contains approximately ninety-nine point eight percent of all the mass in the solar system Because of this mass the Sun has a great pull on the fabric of space Creating a gravitational force that causes nearby planetary bodies to be drawn toward it. This gravitational pull allows the Sun to hold together a system of eight planets potentially dozens of dwarf planets at least 170 moons and countless comets and asteroids. Without the sun's gravity these celestial bodies would drift off into deep space Another critical property of the Sun is its magnetic field which encapsulates the entire solar system called the heliosphere this force field protects the planets from harmful cosmic radiation It's caused by the sun's plasma pushing electrically charged particles toward the Stars poles. This process turns the Sun into a giant magnet Although the sun's magnetic field is invisible to the naked eye Its effects are noticeable On the sun's surface are dark areas called sunspots, which marked strong pockets of magnetism on Earth and on some of the other planets the sun's magnetic field interacts with their atmospheres resulting in beautiful Aurora's Despite its size and strength the Sun will not last forever in about 6.5 billion years it will run out of its hydrogen fuel Expand to envelop Mercury Venus and even earth and then collapse into a small star known as a white dwarf in The meantime the Sun will continue to play a critical role in the system that bears its name the Suns protected magnetic field Tremendous gravitational pull and ability to create vast amounts of energy will protect Contain and give life to our solar system. Check if it is Raining In Your City? Welcome! TW is all about Technology. We cover everything from simple gadget to moon rocket and we strive to dish-out fresh authentic Articles. As Oscar Wild said "The only thing to do with good advice is to pass it on. It is never of any use to oneself."